It was PK actor Aamir Khan’s birthday yesterday. Aamir Khan cut his 52nd birthday cake along with the media. He was questioned to share his views on the entire take of Karan and Kangana’s fight. 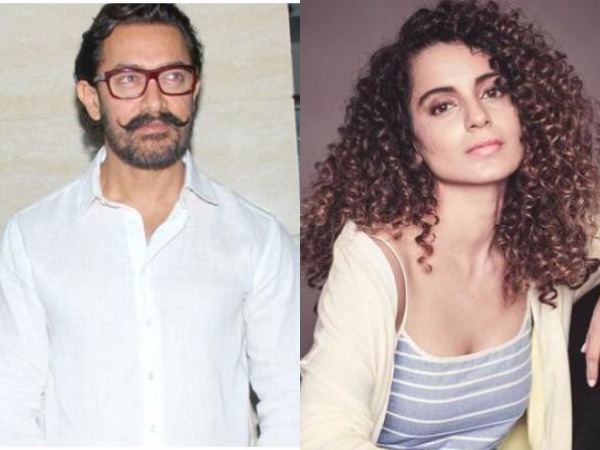 Aamir Khan on Kangana Ranaut’s nepotism did not speak much specific. Like always he did not indulge himself giving out any controversy statements. He gave a general statement to the media and avoided any reaction on specific question of being asked about ‘nepotism’. He also made it clear stating that he is only talking about nepotism and nothing about Kangana and Karan’s fight. “All four of them are very talented, bright and intelligent girls. I don’t think they need my advice. If they do, I am always there for them, I think they will be big asset to the industry,” said Aamir Khan. Also Read: Kangana Ranaut HITS Back At Karan Johar, Says She Was Playing The Badass Card! Next : Satellite Rights of ‘2.0’ Starring Rajnikanth- Akshay Kumar Acquired By Zee Network for Rs 110 Crore!